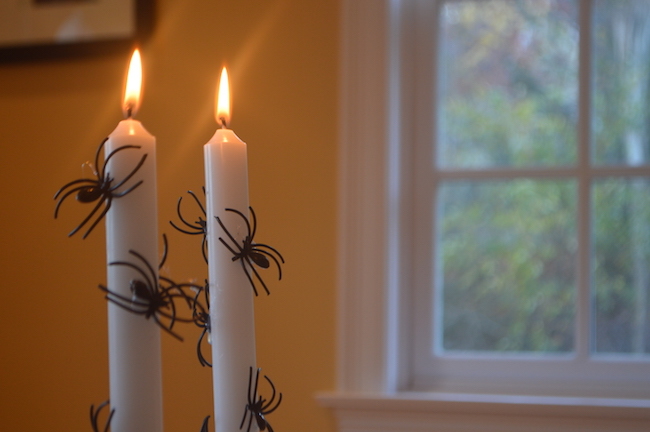 to hold each candle securely. 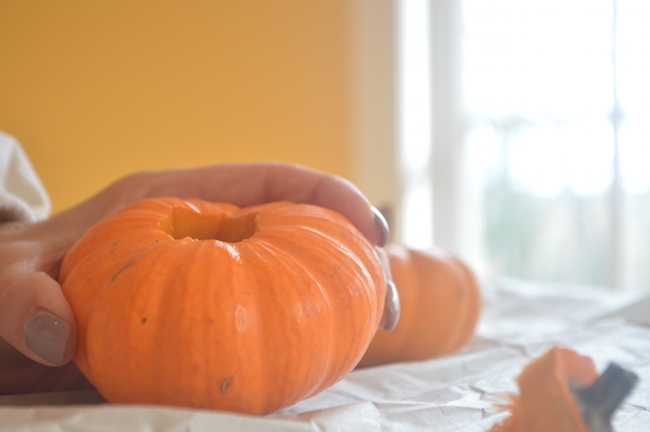 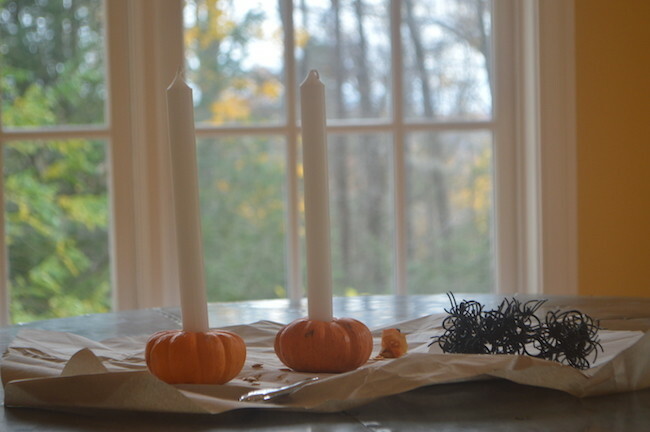 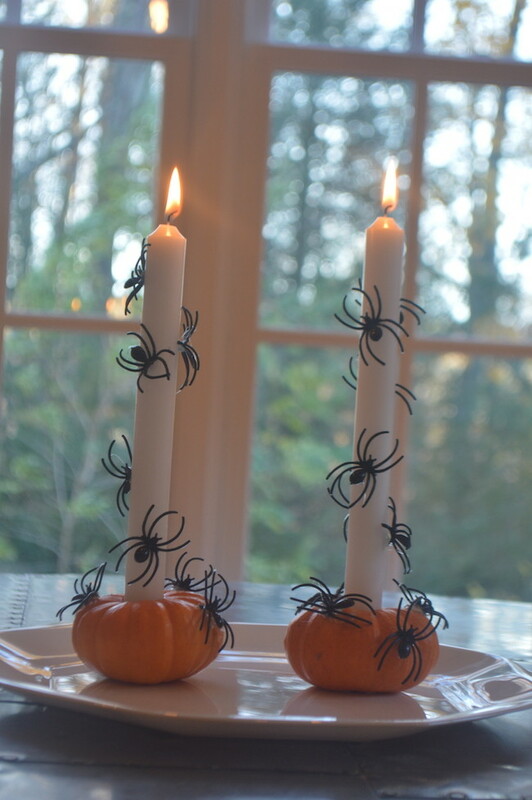 Step 2: Place candles in pumpkins. 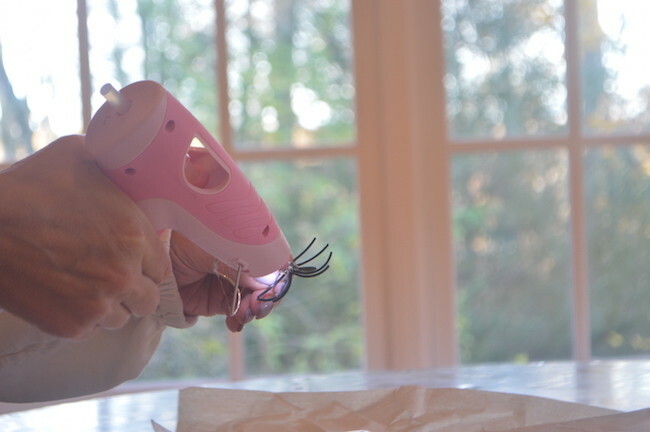 Step 3: Cut ring part off spider ring leaving just the spider. 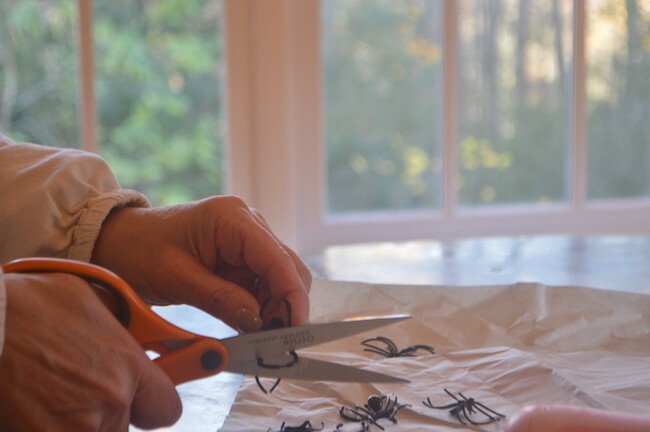 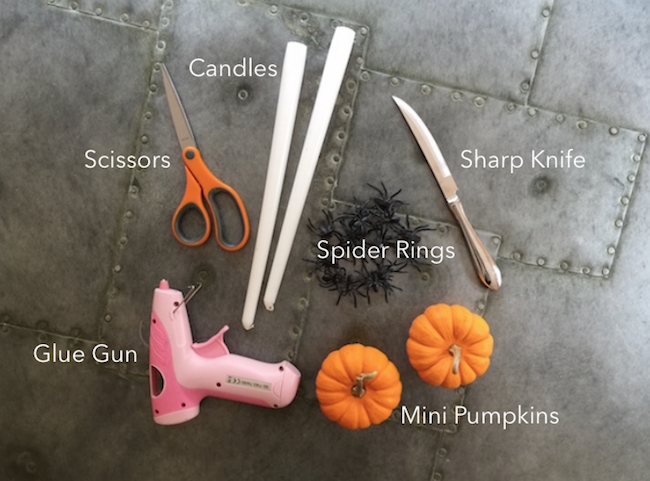 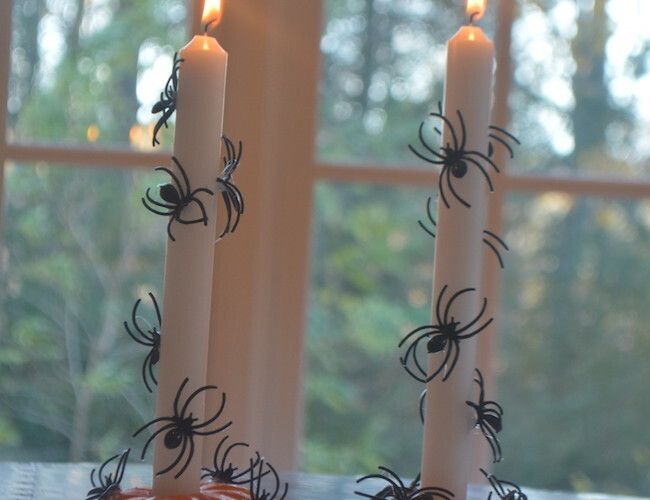 Step 4: Glue plastic spiders all over pumpkins and candles.